Right now it is a quiet afternoon here at the house...and in the middle of this busy holiday season, it is rather nice indeed. I'm sitting at the kitchen table with the computer and beer in hand. Aside from the clothes drier, it is quiet around here now. 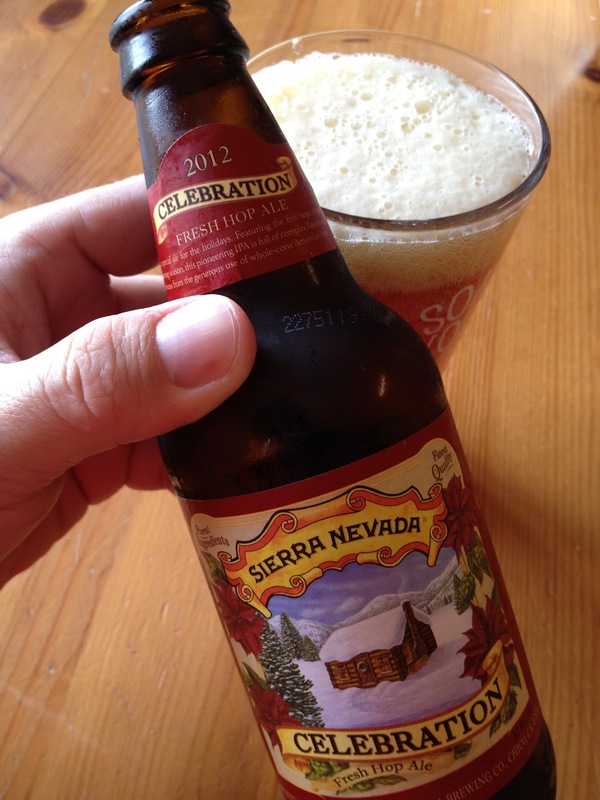 A few weeks ago I posted a photo of the 2010 Celebration Ale by Sierra Nevada, and I'm presently drinking the 2012 Celebration Ale. It is a nice IPA, with "fresh hops". You should check it out. ...sorry I don't have much else to say at the moment. There are a lot of beers to try during this time of year. It can be quite enjoyable to find these and drink them.